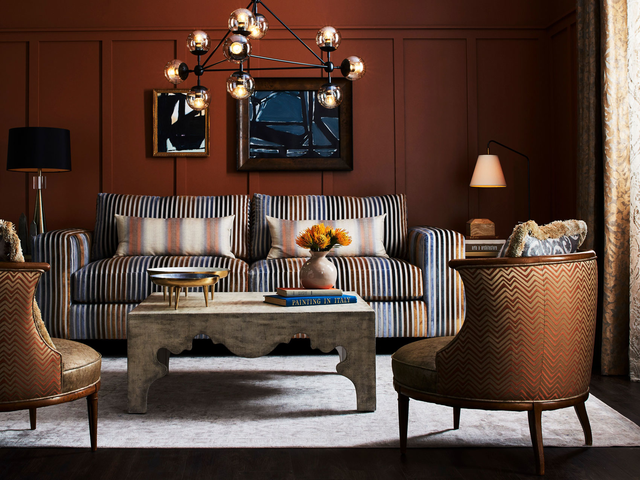 From draperies to bedding and wall paints to area rugs, colors are changing as we approach 2019! Next year’s styles and colors provide the opportunity for creating a fresh new look in the rooms of your home or business. Celebrate with us the beauty and innovation of the 2019 colors of the year by enjoying this walk-through of upcoming color choices. Cavern Clay SW 7701, is Sherwin-Williams’ pick of the year. 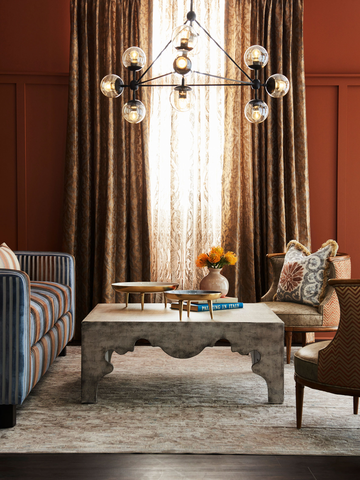 Sue Wadden, director of color marketing for Sherwin-Williams, had this to say about their favorite color for 2019: “Our 2019 Color of the Year, Cavern Clay, embodies renewal, simplicity, and a free-spirited, bohemian flair.” Its terra cotta hues can be used in both formal settings or informal rooms as a main color theme, or in a supporting role. Behr paints has chosen a different direction in their cast of characters for 2019 colors of the year. Their preferred choice for the leading role? Blueprint S 470-5. Reminiscent of the colors on architectural blueprints, Blueprint is able to foster a new and creative DNA for your decorating dreams. Behr’s trends palette gives five different options for combining Blueprint with other colors, to provide multiple expressions that range from bold jewel tones to more muted pastels. PPG Paints provides us with another option for our creative sensibilities: Night Watch (PPG1145-7). A bold stroke of color in the family of emerald greens, Night Watch uses deep color pigments to provide a flair of elegance for any room or setting in your home or office. More of a subtle, soothing color, Benjamin Moore’s choice for 2019 is Metropolitan AF-690. A neutral choice that complements a wide variety of colors and hues, Metropolitan AF-690 is a fresh, new light gray with warmer hues. 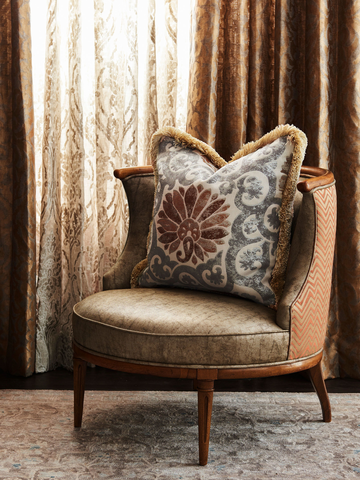 Combine it with pinks, dark greens, whites, or darker grays, for style with a graceful sophistication. At the end of the day, what is most important for your home or office is that you feel comfortable and relish your own style preferences. The 2019 colors of the year are only a beginning, a springboard for endless possibilities. There is tremendous room for creativity! Our interior designers at Athena’s Window Fashions are ready to help you create spaces that give you joy and shape the home you’ve imagined. If you would like to know more, stop by our showroom, visit our website, or give us a call. We’re located in Gilbert, AZ, but we serve the entire Phoenix Valley, and our 25 years of excellence in the industry are waiting to fulfill your vision.